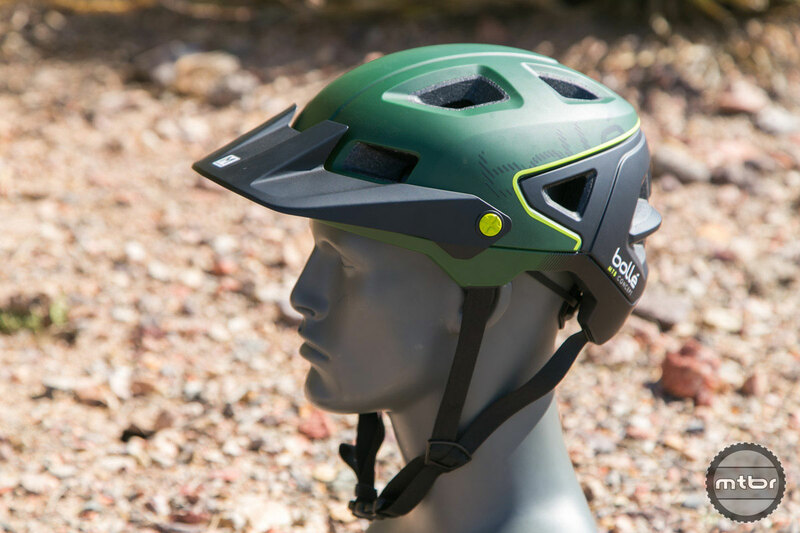 The Traverse is Bolle’s new MTB specific helmet. 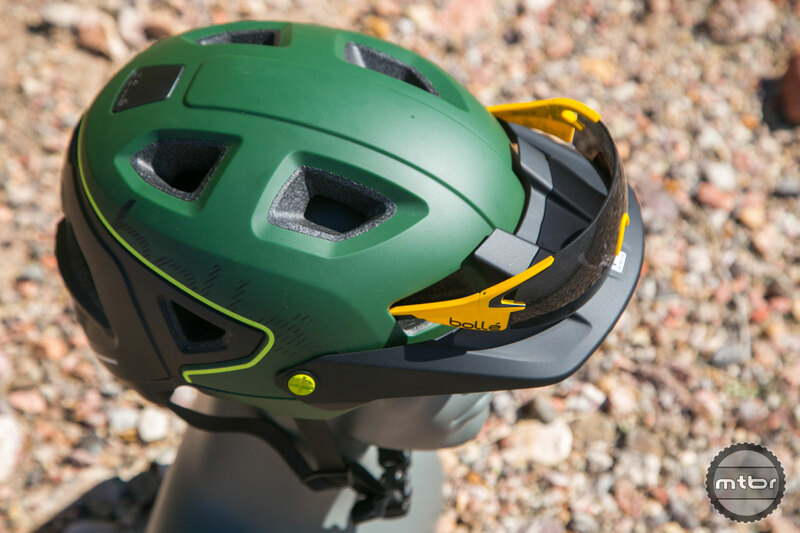 At the 2017 Outdoor Demo in Las Vegas, Bolle was teasing a new prototype all-mountain helmet. Called the Trackdown, it’s still in the testing and development phases, but it should be ready for production by early next year. Creating a seamless eyewear storage system was a key goal for Bolle. Up front, it has an indexed three-position visor. When tilted up, it can easily clear goggles. 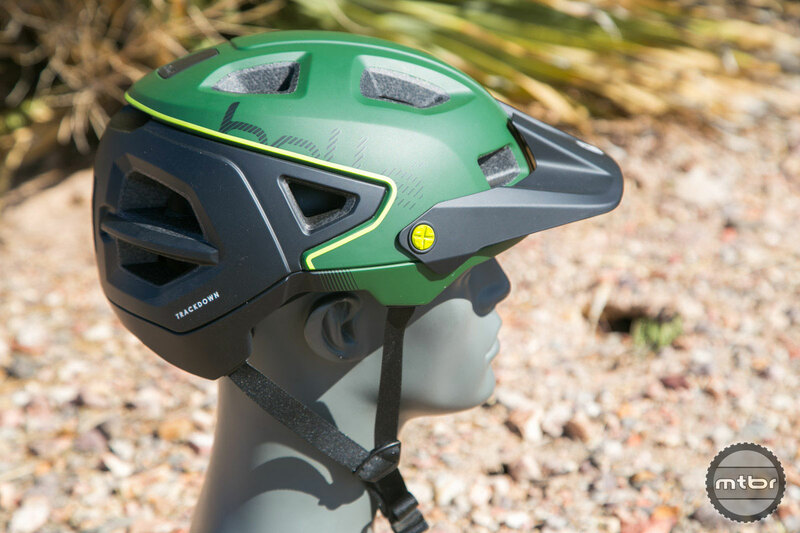 The helmet also includes a convenient spot for storing your sunglasses. It works regardless of what position your visor is in. Bolle’s sunglasses garage works with any brand of eyewear. The Trackdown’s most unique feature is the closable vents. 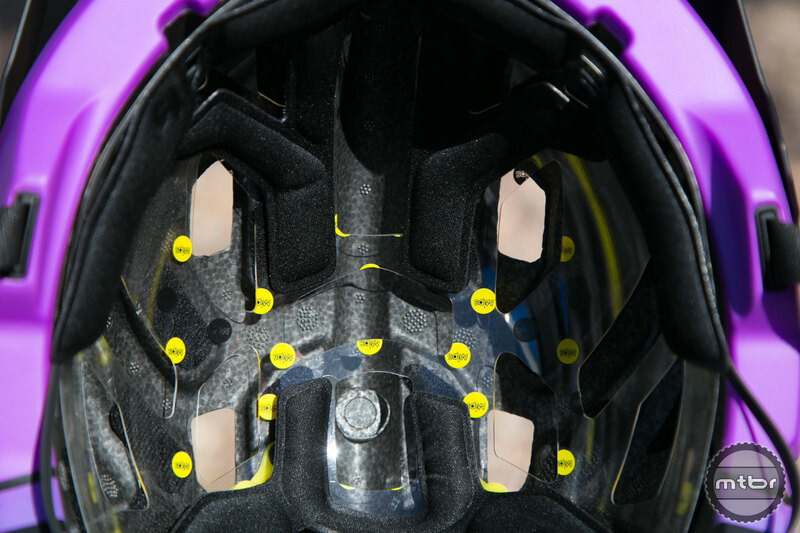 The production model will ship with two vent covers, which seal the helmets top facing vents. In wet or cold conditions, this will keep moisture out and heat in. This subtle ridge isn’t for aesthetics. 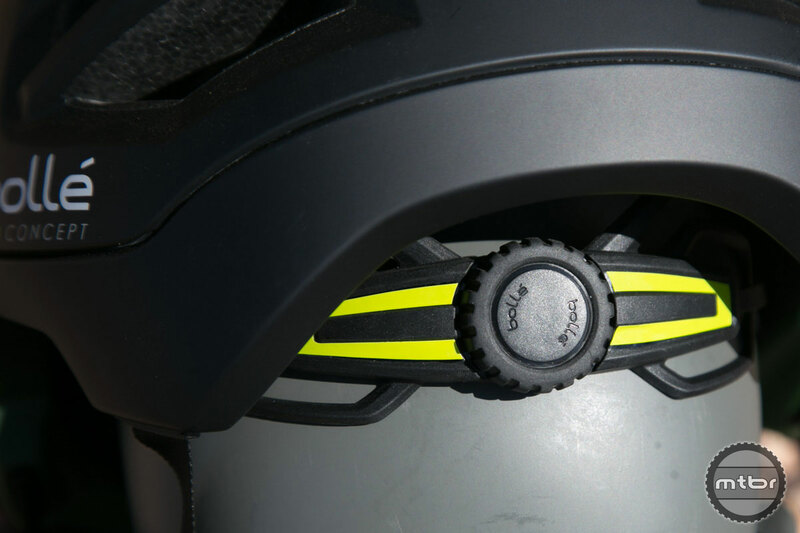 Towards the rear of the helmet, there’s a small ledge to help hold a goggle strap in place. Bolle’s new ratcheting system is a huge improvement over previous designs. 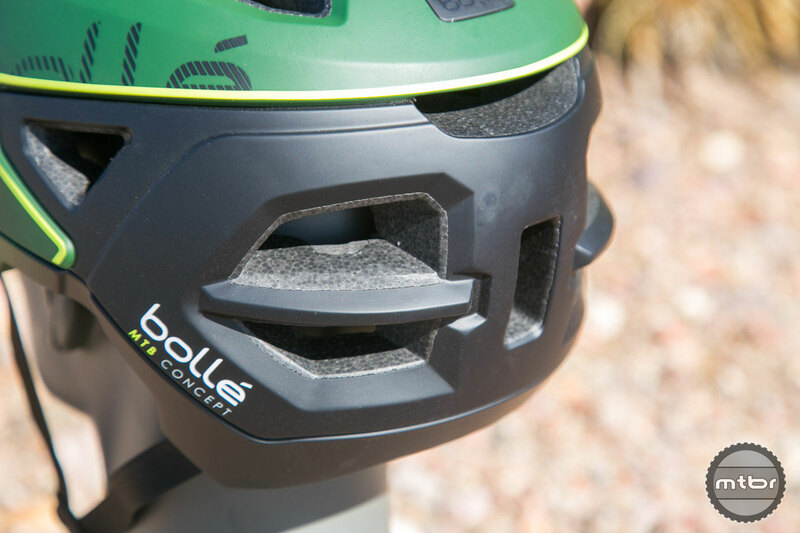 In addition to the new look and eyewear functionality, Bolle has completely revamped their ratcheting system. It now uses a BOA system, which cinches around the circumference of the head. This should greatly improve fit and comfort. Big vents and deep internal channeling should help improve ventilation. Another key improvement comes in the form of internal channeling. 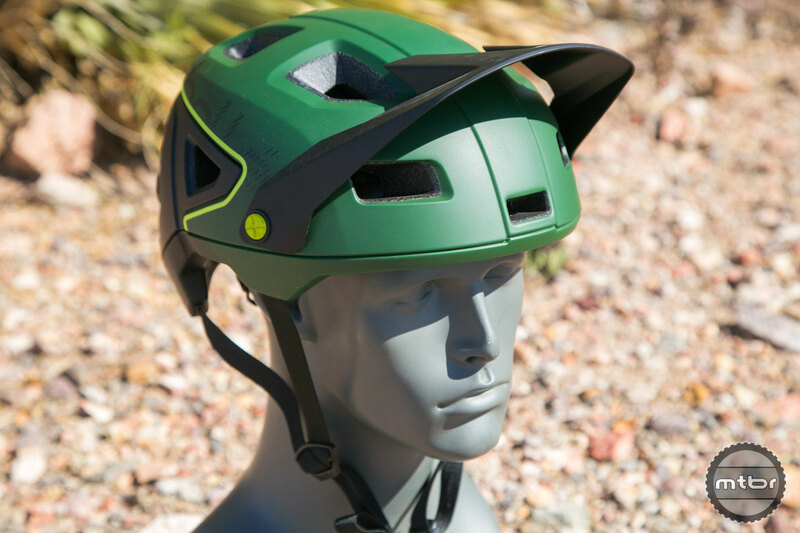 The key to a well-ventilated helmet isn’t the number of vents, it’s the ability to pull air in and push it out. 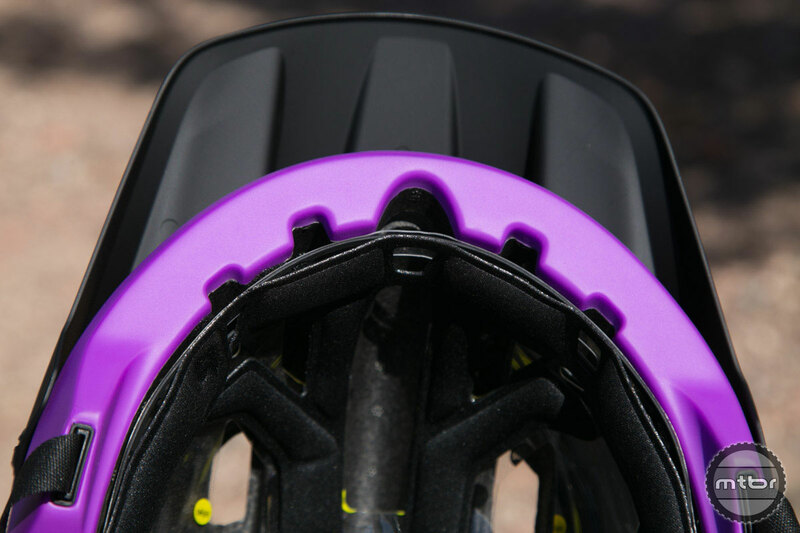 The new lid features massive brow vents and deep internal channeling, which will help increase cooling air flow. Too MIPS or not too MIPS. 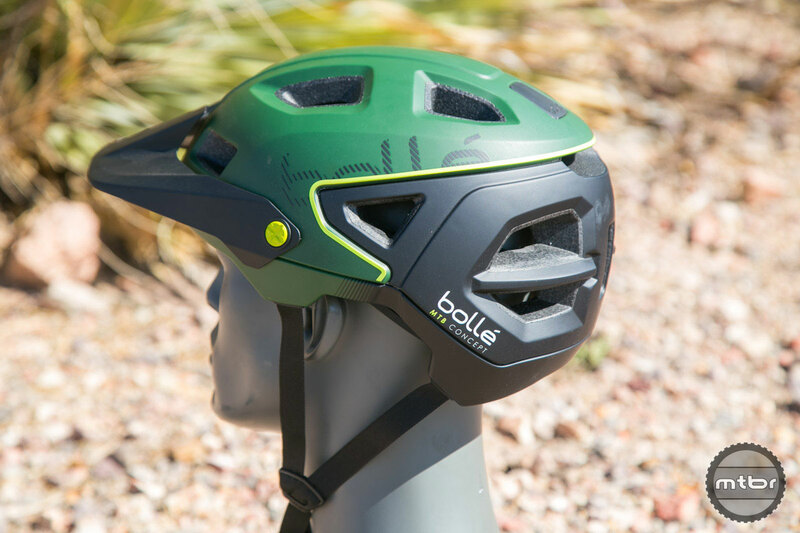 Bolle hopes to start shipping the new Trackdown in spring 2018. The base model will retail for $139. MIPS will add an additional $30. Bolle’s sunglass garage works with any brand of eyewear.